"No More Bad Coffee!" Jayne and Percy of Infood Coffee Society. 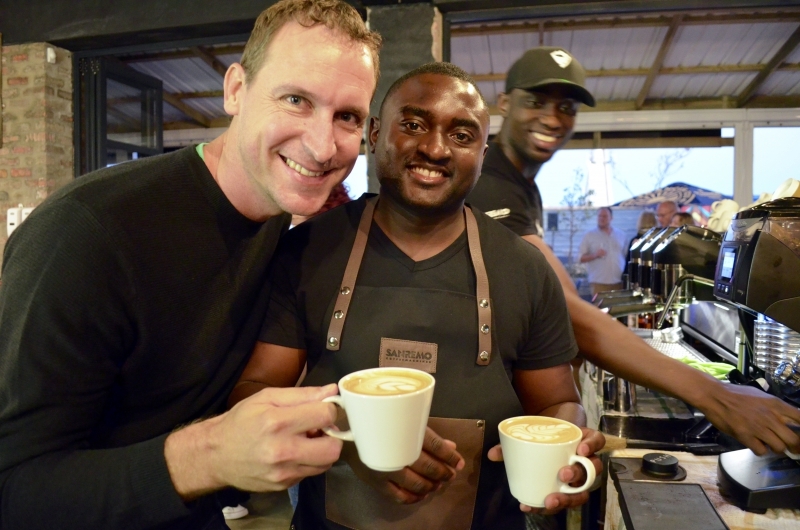 On Thursday 8th November Infood Coffee Society in JBay launched their new Roastery and we, along with most of the town, the Bottomless Coffee Band and select handful of Coffee Professionals turned out to celebrate this momentous occasion on a beautiful summers evening, just a stones throw away from the beach! 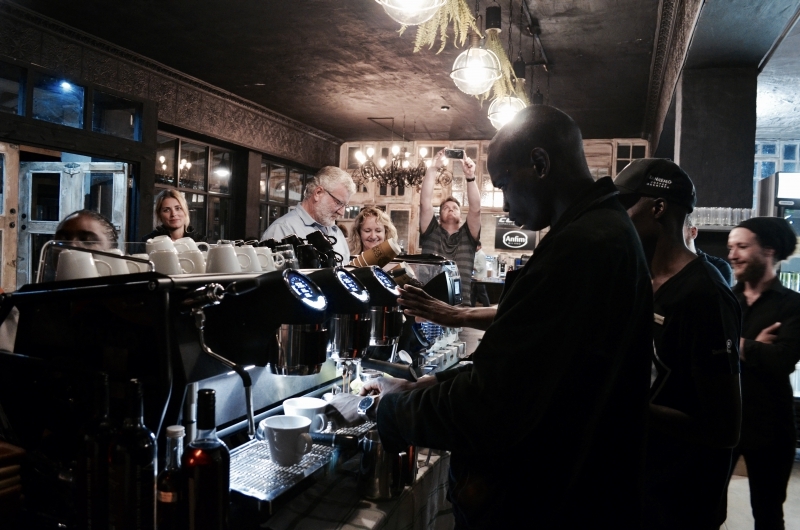 The new Roastery is the brainchild of Percy Chikwira and Jayne Davies. "We wanted to open up and make a bigger space where we could roast on our big roaster, have a retail section and even a showroom for some equipment", says Jayne. As usual, anything significant that happens in JBay usually has Cheron Kraak's golden touch to it. Cheron started the surf brand Country Feeling in SA back in the 70's , soon opened a South African branch of Billabong, a handful of other great surfbrands and grew her surf empire into a multimillion rand business. 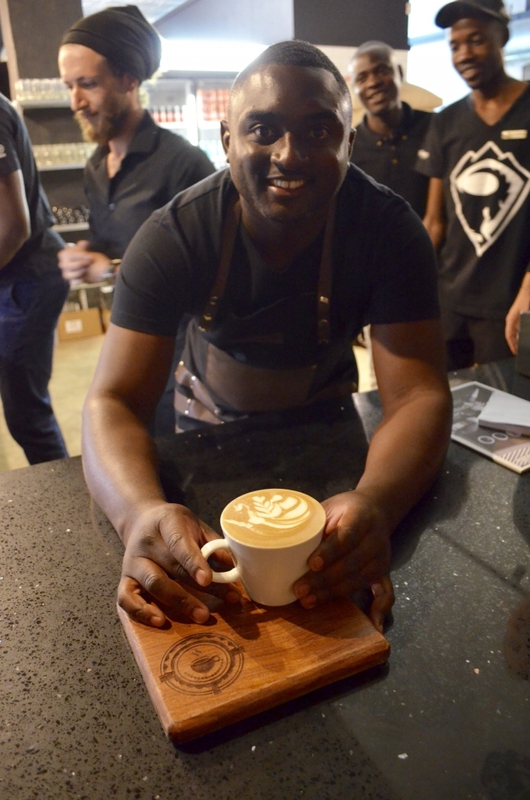 "When I bounced the idea of Cheron, she immediately recommended this space and has helped us make it into so much more than we could have imagined"
The space, which was previously the Billabong warehouse, has been transformed into a beautiful little shopping village, with boutique stores, little outlets and, of course, the new Roastery. The evening was a huge celebration for the community. 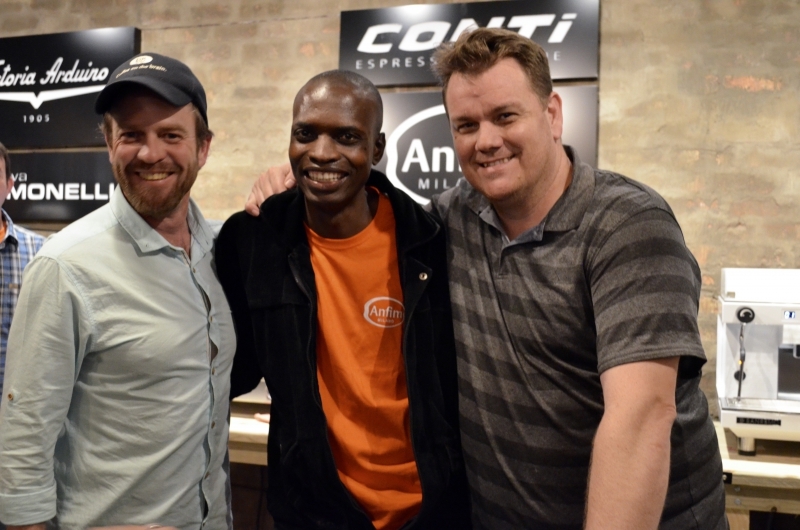 As we arrived, we found Grant Harrison (Specialty Coffee Exchange) and Shaun Aupiais (Red Band Barista Academy) holding a cupping session for curious guests in the cupping room, which also doubles up as a showroom for espresso machines and grinders. Next we found the retail section stacked high with coffee goodies, and all our favourite Infood baristas serving coffee, gin, beer and wine to the guests, who flowed out onto the deck towards the ocean and were enjoying the sounds of the Bottomless Coffee Band as dusk settled over the town and the lights of the chokka boast twinkled on the ocean horizon. 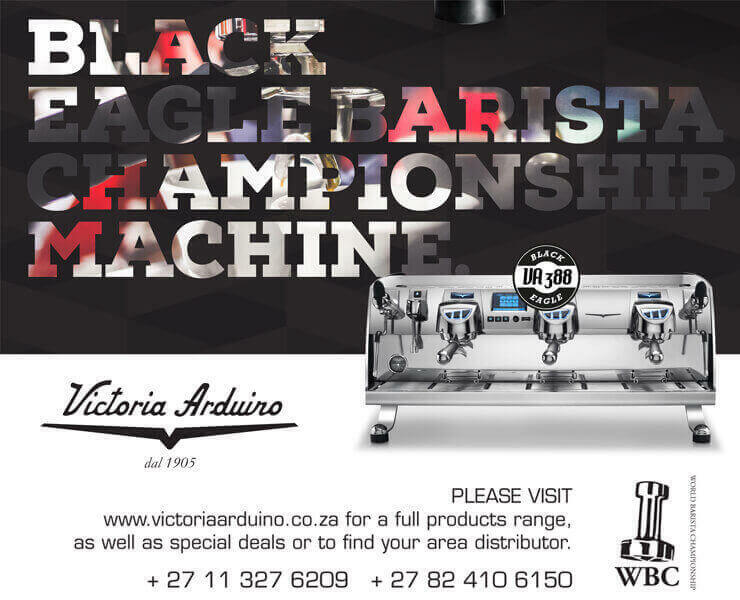 It wasn't long before the party was in full swing and an impromptu Latte Art Jam broke out around the brand spanking new San Remo espresso machine, with current EC Champ, Nigel Kamhanda schooling all the contenders, including Shaun, myself and the local talent from the village of JBay. To all of you venturing on holiday around the Eastern Cape - you really need to do a Coffee Shop Crawl - there is so much to see! From the new Masterton's venue, to the new Infood Roastery - plus if you pick up the latest Coffee Magazine (on sale from next week) - there is a feature on the TOP 5 spots to visit in JBay - including some new hidden gems. Good luck Percy and Jayne - we know your new spot will be a huge success! The impromptu Latte Art Jam gets underway on the San Remo. Yours truly, with my best tulip and Nigel with a beautiful rosetta. Hillary taking notes in the background! Nigel with another creative latte art design for the guests to fawn over and the other baristas to try and beat!